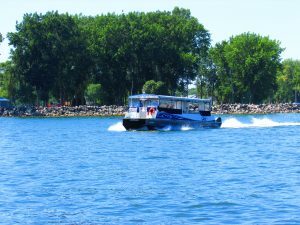 Bay Point Resort operates a water taxi to and from Cedar Point, Downtown Sandusky and Bay Point Resort. The 35’ catamaran holds 29 passengers and is open to all members and their guests. Operates from Memorial Day Weekend through Labor Day Weekend. Only 18 minute ride to Cedar Point! Call the Welcome Center at 419-798-4434 for the current schedule.